People that truly appreciate art and architecture often appreciate most of all an artist’s ability to create something new. To force us to think about something in an entirely new way, to invoke surprising feelings or to stimulate curiosity and possibility. But that appreciation is often based on nothing more than vague, ethereal reactions we may have towards a visual or auditory object and our experience of it. Can the value of art really be summarized in such vague, emotive and all too relative judgements? And if so, why is our society’s engagement with art steadily shrinking? Once upon a time, 150-200 years ago, art was beautiful. Not that it isn’t now. But once upon a time, we had one definition of beauty. A lot has happened in those 150 years. In our headstrong rush towards a pervasive relativism, art, naturally, got complicated. It was inevitable. We have lived through more life-altering evolutionary churning in the past century than many before us combined, technology being perhaps the main contributing factor in the change. Existence is no longer simple. We’re used to that. But despite the manifold amount of change, for some reason, the cultural dialogue surrounding art is much the same as it was 150 years ago. Certainly we’ve adjusted for the conceptual nature of the art object and the philosophical nature brought along with a redefinition of art. But despite the relativistic society in which we live, a community in which anything goes, and I dare not press my religion, cultural ideology, style, taste in music, etc. on you, the art world still functions as it did before. An exclusive cadre of ‘critics’ and ‘academics’ determines who enters into the halls of the fine art world and that same club of art experts determines how we should talk about them. The nature of today’s artists too has exacerbated the exclusivity of the art world. It is no longer enough to have a knack for painting or sculpture, in fact, you’re almost better off if you don’t. Today’s artists aren’t artists in the 19th century sense of the word, today’s artists are philosophers. Artists have always been thinkers, I know this. It would be impossible to create even the simple beauty of Rembrandt or Van Eyck without a deep understanding of humanity, the world and religion, an understanding only possible through years of thought and meditation. But today’s artists don’t stop there. They don’t meditate on just the world and humanity, allowing their understanding derived therein to inform their art. No. Relativism and the steady decline of our interest in, and ability to decipher, traditional philosophical writing, have combined to make today’s artists into today’s philosophers. Partly out of necessity and partly out of the complicated nature of beauty and taste in today’s world. An understanding of life today, after all, is inextricably tied to much more than religion and nature thanks to the suffocating grip of technology. And if today’s art also functions as a stand-in for today’s philosophy, then art critics more or less, function as philosophers in their own right. 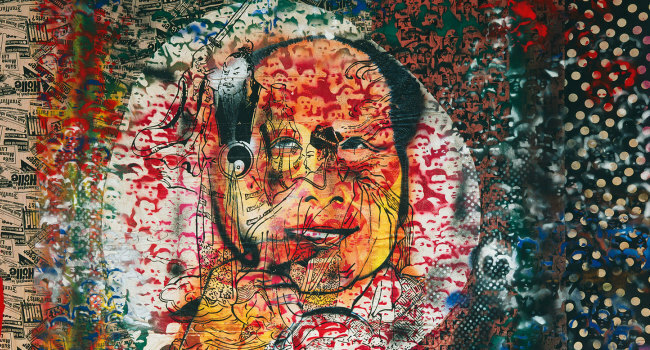 Raphael Rubinstein writes in a recent review of MoMA’s Sigmar Polke Retrospective on the “mania for explanation,” wondering when it became such an imperative that artist’s explain their work to their audience. “It’s as if their works never go out into the world without the company of their voices, which come to us via interviews, artist statements, video documentaries, panel discussions and artist talks,” he says. Rubinstein’s arrogant bewilderment on this matter is an excellent illustration of the art world’s obliviousness to its own insularity. When art is philosophy the artist statement and generally intimate knowledge of the artist’s worldview is imperative to an understanding of the art. Certainly once you’ve had the years of experience of a Rubinstein or otherwise, you may be able to deduce an artist’s objective without background. The rest of us, however, remain lost. He then transitions into Sigmar Polke’s apparent refusal to explain his work. The few times Polke did speak in public almost always consisted of less than sincere responses to interview questions and art-world parody. I don’t pretend to know why Polke refused to explain his own work but I would postulate it has much to do with a conscious rejection of what the art world was becoming. Despite the rejection of Rubinstein, and I’m sure others, we started down the path of lengthy explanation when we began appreciating art less for its beauty and more for its originality in regards to the artist’s intention. 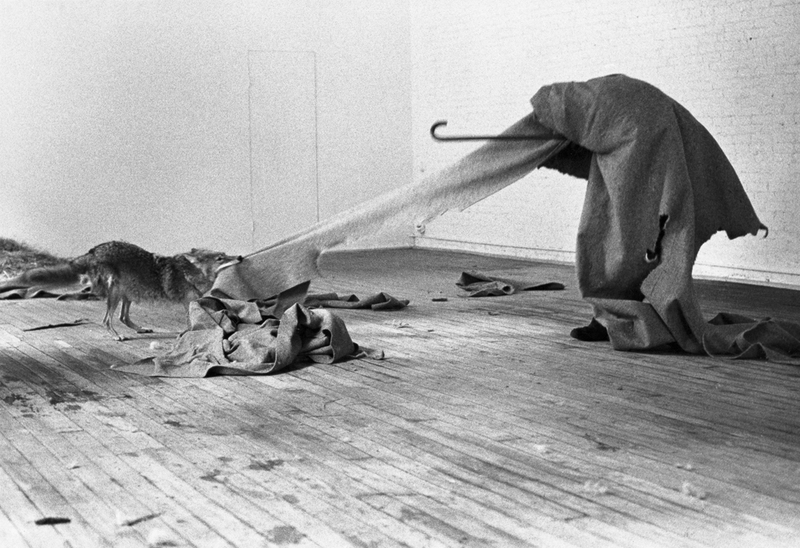 It’s elitist to expect the casually interested art lovers to understand why Joseph Beuys locking himself in a room with a coyote for several days is worthy of our attention and respect without written and verbal explanation from Beuys himself, and the critics who support him, of the philosophical underpinnings which prompted the exhibition. If Beuys wanted to be taken seriously, and even have a gallery willing to support the performance in the first place, he needed a damn good reason. And that proposal and artist statement had to be good enough to impress the critics and thereby the public. And here’s the rub. I’ll go with Rubinstein to the natural conclusion of all of this, the need for explanation has given rise to too much explanation. Too much explanation at the expense of emotional response. Once upon a time, when beauty was simple and writing wasn’t vital to our understanding of a work of art, we were allowed to emotionally react to a painting or sculpture, although the range of emotions we allowed ourselves was almost certainly smaller 150 years ago. The philosophy of today’s art is a double-edged sword. On one hand, art as the expression of a philosophical construct or ideological deconstruction allows the possibility to engage with a piece of art on a deeper level and to experience one of today’s most influential expressions of philosophical thought, on the other, when our discussion of art seems to imply that is the only way to respond to a piece of art, we’re excluding the audience who would choose to engage with art on a more feelings-based, reactionary level. And that’s where the art world has acted against the public in its perpetuation of a form of art writing that doesn’t allow for individual taste and the possibility that art can be appreciated in its own right in the context of our visual and emotional responses. With an insular art world that refuses the rest of us the experience of our own “possibility” with art, as Jeff Koons puts it. We’re left with a public who insist they “don’t understand it” and therefore cannot, and do not, meaningfully engage. We spend so much time writing and thinking about how important art is, and performing academic studies on how our “brains are wired to appreciate art” and how art uplifts us, feeds our spirit and on and on and on. But most of us cannot appreciate art because we’re still trapped in the endless cycle of self-perpetuated ignorance, a cycle in which the art world is complicit and unsympathetic. Put in my words? Art can very much be about sensation and emotional response and for many artists that create, that’s all that it is. Therefore, it should be about learning what you like, not what the critics like, and not what is (necessarily) in museums. You have to expend the effort to discover what you like. That means curiosity, discovery and engagement. Yes, art will still remain complicated and contemporary art will always be something of a mystery, even to many of the critics who engage with it daily. But maybe it doesn’t have to live only in the realm of academia, maybe art can continue to evolve and our appreciation of it, flourish yet again. Maybe fine art can once again be a part of the popular culture conversation.